NIA CHARLESTOWN NEVIS (September 12, 2017) — Minister responsible for Public Utilities on Nevis Hon. 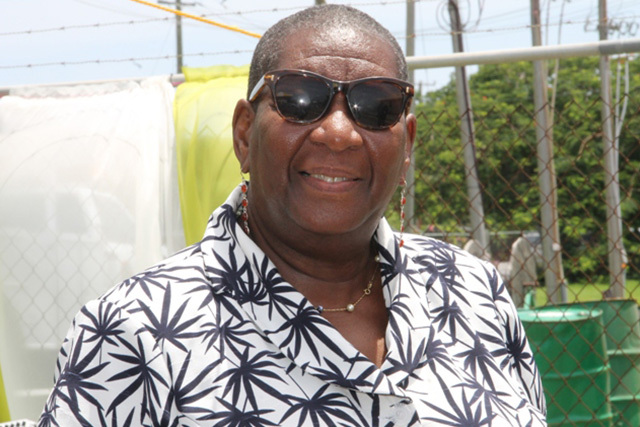 Alexis Jeffers, described the commissioning of a 3.85 megawatt Wӓrtsilӓ generator at the Nevis Electricity Company Limited’s (NEVLEC) Prospect Power Station as a historic and special day for Nevis. 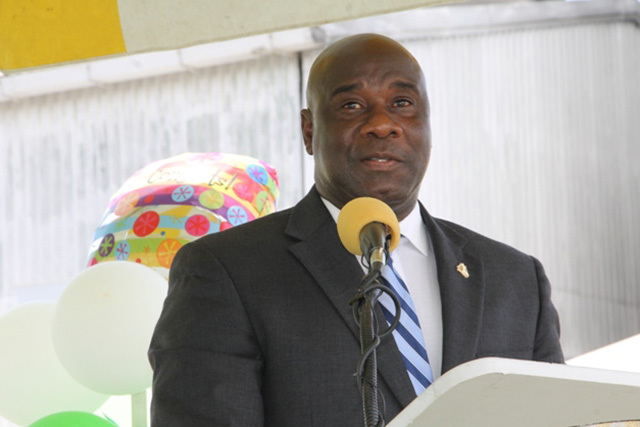 Mr. Jeffers was delivering remarks at a ceremony to mark the occasion at the Power Station’s parking lot at Prospect on September 12, 2017. 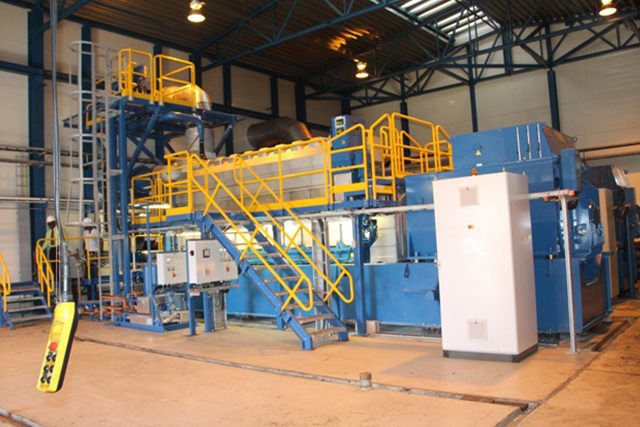 “This is a day to celebrate and to highlight the importance and significance of procuring a brand new 3.85 megawatt Wӓrtsilӓ generator which is intended, to increase and improve the power generating capacity of the company. “Simply put, today is a day of transition from the days and months of constant power outages both planned and unplanned,” he said. The Minister, also stated that the transition takes NEVLEC one step closer to regaining and maintaining its position, as one of the most effective and efficiently run companies in the region. The Minister, thanked the Board of Counsellors of the Sugar Industry Diversification Fund (SIDF), chaired by Dr. Robertine Chaderton, for acceding speedily to the request from the Nevis Island Administration (NIA), for a US$5million loan to purchase the generator. He also thanked the the Federal government for the role they played. Mr. Jeffers, also thanked Wӓrtsilӓ for delivering the project on time, within the stipulated period set out in the Engineering, Procurement and Construction (EPC) Contract signed in February 2017, and for living up to their reputation in the Caribbean and throughout the world. “You have proven yourself to be a reliable and professional company and these are the hallmarks that have made Wӓrtsilӓ an excellent organisation and one that we can all look to for examples,” he said. Mr. Jeffers, also used the opportunity to sympathise with other utility companies in neighbouring islands, whose islands have been affected by the passage of Hurricane Irma. He said NEVLEC was willing to assist where necessary. Meantime, Dr. Chaderton, in brief remarks said the SIDF is pleased to be associated with the project, because one of its roles is to support initiatives which improve the economic and social condition of persons in the Federation both St. Kitts and Nevis. She said, the Board is aware that power is one of the driving forces in the growth and development of industry and commerce, hence the reason they were so willing to invest a significant sum of money into the project. With the advent of additional power generation, Dr. Chaderton believes that the island will be better able to attract new and varied businesses which can only redound to the benefit of the people of Nevis. She stated that the people of Nevis had waited long for relief from nights of darkness and inconvenience and encouraged NEVLEC to maintain the equipment and have it serviced regularly, so that it would last long and impact the people of Nevis. Other remarks came from Premier of Nevis Hon. 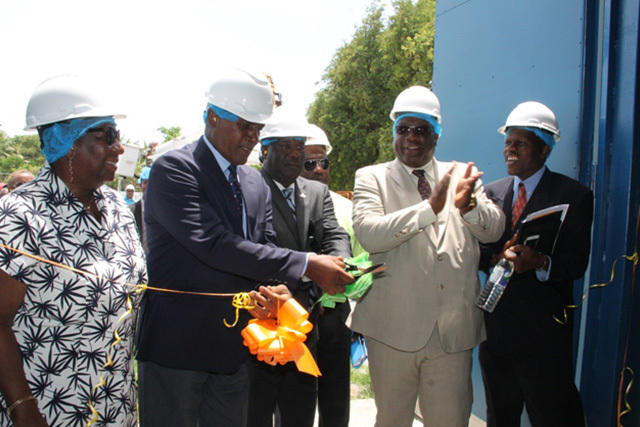 Vance Amory, who cut the ribbon, Chairman of the Board of Directors of NEVLEC Mr. Farrell Smithen, Acting Manager of NEVLEC Mr. Jervan Swanston who also chaired the ceremony, Wӓrtsilӓ Site Manager for Nevis Mr. Kuano Orre and NEVLEC’s Generation Manager Mr. Earl Springette. Among those present were Prime Minister of St. Kitts and Nevis Hon. Dr. Timothy Harris, Deputy Premier of Nevis Hon Mark Brantley and Federal Minister of Public Infrastructure Hon. Ian Liburd and Junior Minister in the Ministry of Communications and Works on Nevis Hon. Troy Liburd.